The B.L.A.C.K. 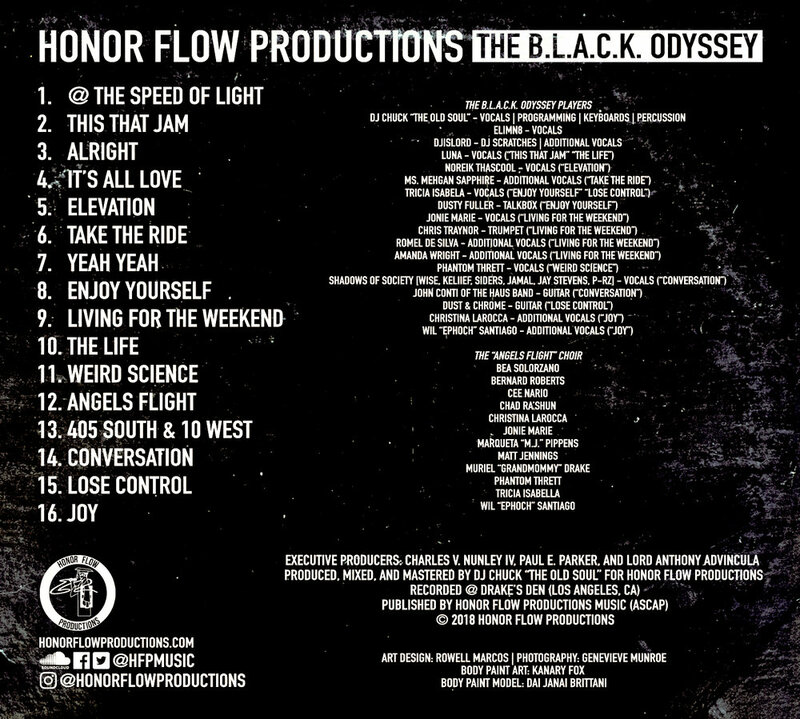 Odyssey (“Beyond Light Years Away Carrying Knowledge) is the sophomore album from rising Los Angeles, California Hip-Hop group, Honor Flow Productions, that presents the trio’s thesis on the concept of “freedom.” Intertwined with the ever-present life motifs of self-expression, spirituality, romance, self-discovery, and personal joy, these observations and experiences to the journey of “freedom” play out over The B.L.A.C.K. Odyssey’s melodic, yet thunderous soundscape of hip-hop; marinaded with an eclectic musical pot of soul, funk, house, jazz, and rock.